written by Robin Cook, M.D. Dr. Cook is a Navy veteran, surgeon, opthamologist, real estate guru, teacher and of course a writer. 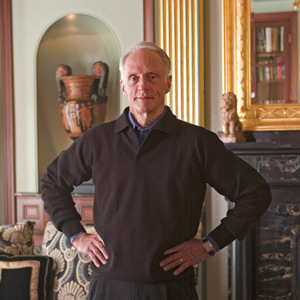 Most of his books are thrillers based around a medical ethics issue of one kind or another. Dr. Cook has stated that it's of more use to write a mystery to get people interested in the challenges of morality in medicine in a rapidly changing world than to write a long dry paper explaining the same issues. I picked up the hardcover for a bargain price, but I believe that the paperback is available now. 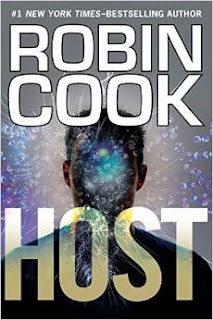 Host is about 400 pages in hardcover. I liked the story but thought that the characters weren't engaging enough. I happened to read a lot of this while I was visiting a loved one in hospitals so the theme was either a weird bit of serendipity or foreshadowing depending on how you look at it. As we age it is almost certain that we will spend more time and money in hospitals, whether it's on our own behalf or for those we love. Although we can try to put this off via healthy eating and living, as we are not jellyfish, sooner or later we will break down and die. It's just part of being human. When this happens in our eighties, nineties or beyond, those we love can be philosophical and accepting about everything. Even the person who knows that death is approaching more quickly can surrender life with a smile on his face. But we also feel, rightly or wrongly, that there is a time for sickness and death. And that time is old age. We often get really upset when someone kills a child not just for the harm to innocence but because the child presumably had so many more decades of life ahead. When someone dies in the hospital at ninety we can feel differently than if they did so at thirteen. Carl Vandermeer is a late twenties/early thirties lawyer in Charleston, South Carolina. He's not a partner yet at his firm but who can say what will happen in another five or ten years. Carl is athletic. Carl is a former college lacrosse player. He keeps himself in shape by jogging and playing pickup basketball with other lawyers and young professionals. Well athletic or not, age impacts everyone. Carl tries a fake on the basketball court and winds up with a knee that is useless and painful. A visit to the orthopedic surgeon confirms that Carl has a torn ACL. Surgery is required, something that Carl's girlfriend, Lynn Peirce, a fourth year medical student at the local hospital convinces Carl to have ASAP. Carl doesn't like surgery or doctors or needles or being made unconscious, something he hasn't told Lynn. Carl also doesn't want to lose months away from the partner rat race. But because Carl can barely walk, he agrees to have the surgery at Lynn's hospital, Mason-Dixon University. But something goes wrong. Carl never wakes up from the anesthesia. He's effectively brain dead. Supposedly it's just a random one in a million negative reaction. The hospital is very quick to shunt Carl off to the next door Shapiro Institute, which takes care of brain dead patients. But Lynn isn't buying the story. Suspicious, Lynn starts to do some unauthorized research about Carl's case and the Shapiro Institute. She pulls in a fellow medical student, her brilliant friend Michael Pender. Neither Lynn nor Michael likes what they find. The students can't understand some of the information they're retrieving. When some "accidents" start occurring around them and other people disappear, Lynn and Michael must decide how far they want to push this. Getting expelled from school could be the least of their worries. I liked Cook's description of hospital and medical school politics. I thought that some of the book was a little more technical than I needed but I suppose this wouldn't be the case for medical students who read this. I found myself tempted to skim more than once. Cook takes some well deserved shots at some of the big players in the medical industry. The book also questions how we train medical students and what we teach them. Host will appeal to those people who enjoy mysteries and conspiracies. It can be scary when people with the power to destroy our lives take a negative interest in our existence. There's also some social commentary about race and gender which is relevant to the story line. Michael is Lynn's platonic friend, but it would have have been useful to understand better why he was willing to risk so much for her. This was an okay read, not a great one. There is room for a sequel.